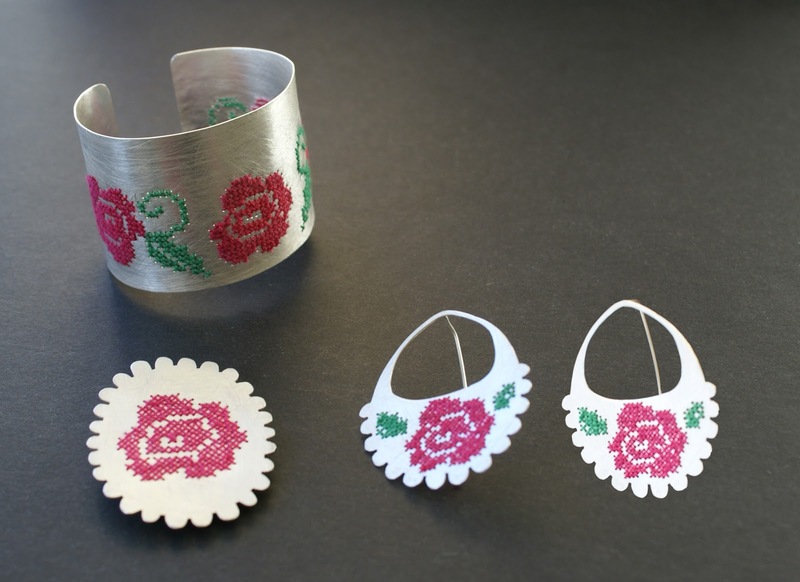 brazalete, broche y aretes "abu"
CON ESTA COLECCIÓN RECUERDO A MI ABUELA, ESTA INSPIRADA EN EL TRADICIONAL PUNTO DE CRUZ CON EL QUE MUCHOS PUEBLOS EN MEXICO ADORNAN SUS TRAJES TIPICOS. THIS COLLECTION REMINDS ME OF MY GRANDMA. 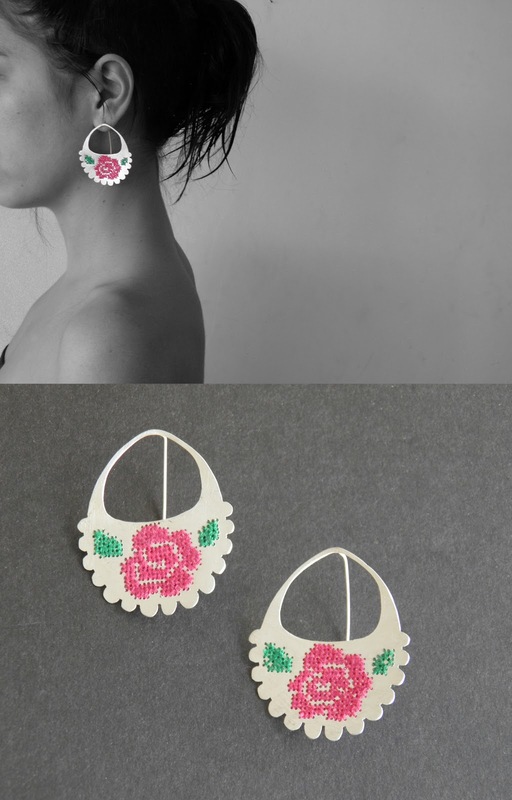 IT IS INSPIRED ON THE ANCIENT CROSS-STITCHING USED IN MANY MEXICAN TRADITIONAL COSTUMES.